Love to shop? Want to help your school? 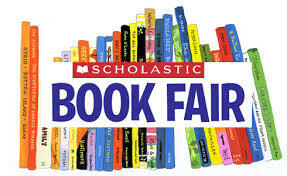 Hauser’s PTO makes it easy to do both at its annual Scholastic book fair. Yes, you can purchase books on Amazon, but does Amazon give back up to 55% of its sales to benefit Hauser? Last year over a thousand dollars’ worth of books was purchased for our library and classroom libraries with your support. Your child will have the opportunity to shop with his or her ELA class that week, so check out the flier of titles that is in their backpack, and please send money on their assigned shopping day! OR, feel free to shop while your child is in school too, we are open all day! Come choose a book for your child or favorite teacher. All book purchases count towards the annual classroom pizza party contest! Books for the whole family are available through our online fair (high school, adult, little kids), so think ahead and purchase that gift or book for spring break. All online sales count too!